If you can find the nest and if it is not right in the middle of your plants, then the best thing is to pour boiling water into the nest. You may need to do this a few times. 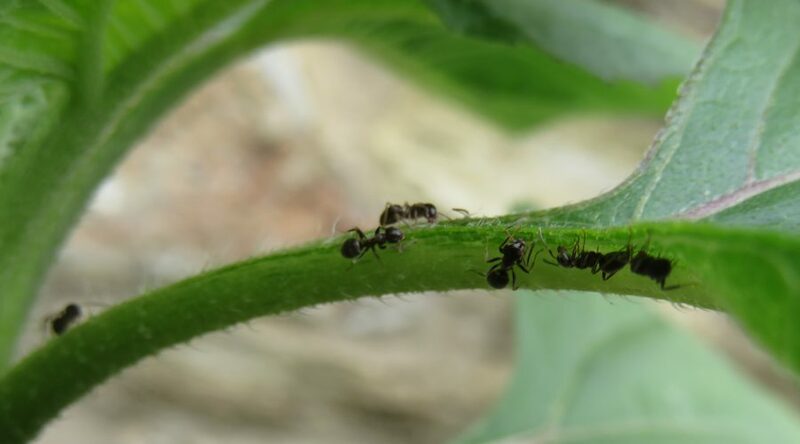 To deter ants from crawling all over your beds, make a peppermint spray by adding a few drops of peppermint oil to a squirty bottle of water and spraying the solution thoroughly along the edges of the beds. You’ll need to do this fairly often for it to be effective.